The tidal pool on Umdloti main beach provides the perfect shelter from the ocean tides, creating a safe space for the whole family, including young children, to unwind. The pool is also the perfect snorkeling spot, serving up optimal conditions for underwater sightseeing. 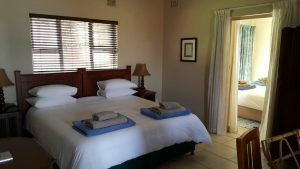 It is also a perfect in whichYou’ll have no problem finding self-catering chalets in Umdloti, conveniently situated a stone’s throw away from the main beach. A dedicated lifeguard is on duty next to the tidal pool, with several others on the beach nearby. Playing the day away can be a hungry business, even if you’re in one of the self-catering chalets in Umdloti. 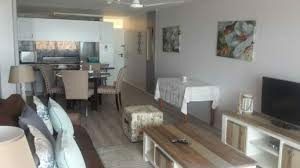 As there are a number of self-catering chalets in Umdloti that average for under R1 000 per night, you’ll probably be able to indulge in some of the fine fare on offer at the beachfront restaurants and bars. For a taste of Africa, your best bet is Bush Tavern Restaurant & Grill, with its live music offering, happy hour cocktail and drink specials, and ‘bush’-style grills to go with the ‘bush’ feel. Sandbar Restaurant & Cocktail Bar is just the place to plonk yourself down after a long day at the beach. Sample the finest South African wines – all great value offerings – as well as some spritely cocktail concoctions. Just the thing before heading off to one of the nearby self-catering chalets in Umdloti. If you want to leave the blissfully sedate beachside lifestyle behind for just a little while, it may be Sibaya Casino and Entertainment that’s calling. The complex is situated in Hillhead, a metaphorical stone’s throw from Umdloti. Authentic Zulu-inspired architecture meets the latest technology and fantasy features to make this the ultimate gaming, casino and entertainment complex. There are three casino sections, housing more than 1000 machines. Of the three sections, the exclusive Royal Court Privé is the most upmarket in the country and caters to your every private club need. Family entertainment , a children’s entertainment centre, crèche, gift shop, famed nightclub with three floors and spectacular food offerings round off what you can expect at Sibaya. Given all this, it’s still safe to say you should expect the unexpected – in a good way. Crocodile Creek attracts visitors from all over and not just in the region – for good reason. There are more than 7 000 crocodiles from various species, as well as other reptiles, including mamba snakes. Enjoy a guided tour of as these animals and reptiles slither, swim, feed and sunbathe. The Creek, although not in Umdloti itself, is near to the area and the many comfortable self-catering chalets in Umdloti. It’s well worth the short taxi ride out to this fascinating complex that’s a feast of fun for the whole family! After being guided through the walkways and viewing decks, be sure to catch a bite to eat at the on-site restaurant. Your serving of delicious, wallet-friendly food awaits – just be sure not to feed any crocodiles! dolphin view cabanas umdloti self catering, lalaphansi self catering umdloti, places to stay in umdloti self catering, self catering accommodation in durban umdloti, self catering accommodation in umdloti kwazulu natal, self catering beach cottages in umdloti beach, self catering cottages in umdloti, umdloti self catering flats. Bookmark.